A Natural History Cruise with Wildlife Artist Steve Quinn. Stephen C. Quinn, senior project manager in the Museum’s Department of Exhibition, recently traveled to the eastern Congo basin to visit the exact site depicted in the Akeley Hall of African Mammals’ mountain gorilla diorama which is based on paintings, photographs, and specimens collected in the field by explorer and taxidermist Carl Akeley and his team in 1921 and 1926. Like the artists on Akeley’s 1926 expedition, Quinn used field sketches and paintings to document the area’s flora and fauna, recording the changes that have taken place and reinforcing the important role artists play in habitat conservation and environmental education. In this eight-minute highlight video from a recent talk at the Museum, Quinn shares finished works, including a panoramic plein air painting. 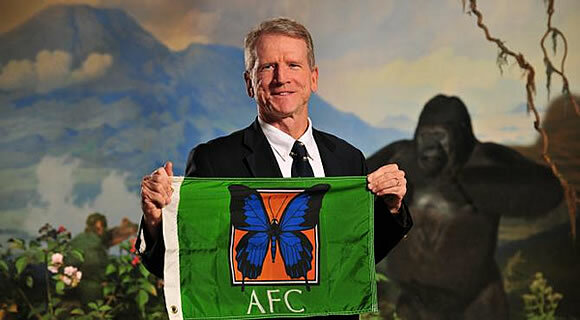 Stephen C. Quinn in front of AMNH Mountain Gorilla Diorama, 2010. 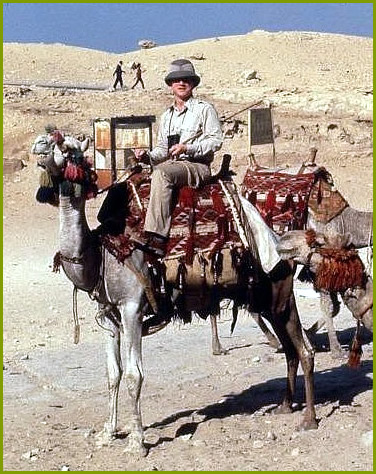 Quinn on expedition at the Valley of the Tombs of the Kings, Egypt. Quinn piloting a zodiac while searching for Gray Whales in San Ignacio Lagoon. 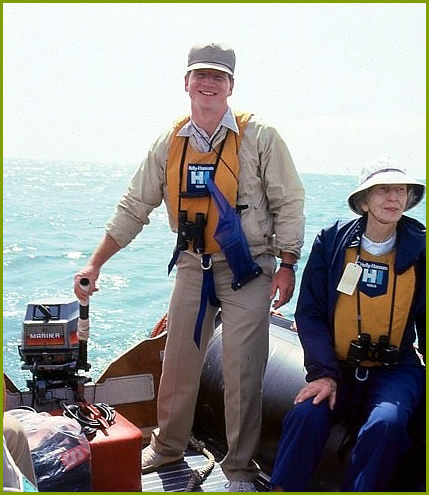 Stephen Quinn is available as a naturalist, guide, leader, lecturer for local, distant and international natural history (nature study) trips focusing on bird watching, whale watching, general nature study, etc. 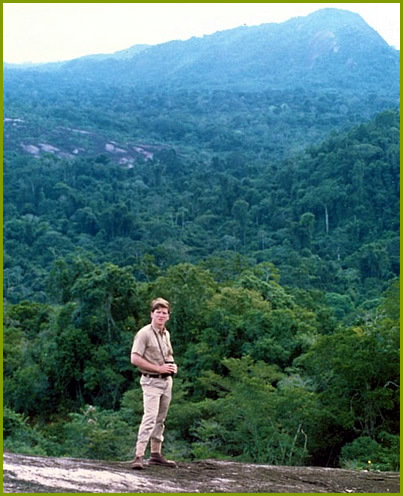 He is also available as a field artist, collector, expedition organizer/leader for trips related to gathering data, references and specimens for museum exhibits and dioramas. Stephen Quinn provides lectures and chalk talks for science museums, nature centers, and environmental groups on a variety of subjects. Lectures are slide illustrated or illustrated with chalk on a blackboard. Stephen Quinn provides three-hour workshops on the following subjects. 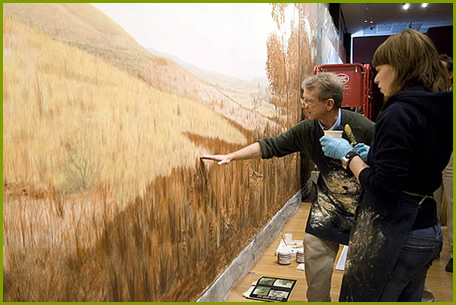 They are hands-on, outdoors, or at an offsite location (zoo or museum). 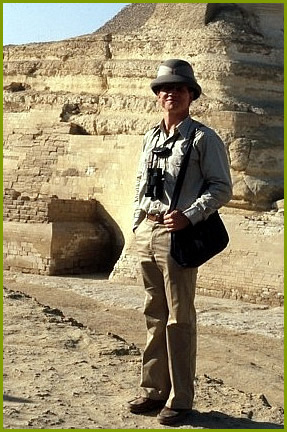 Quinn on expedition at the Sphinx, Egypt.